A native of Washington, DC, Micah spent his early childhood in Arlington, Virginia, later moving to the Shenandoah Valley of Virginia where he attended college and earned a degree in Communication Studies at James Madison University. As a natural next step, Micah worked for a group of Congressmen and Senators as their representative to the National Student Leadership Forum, where his focus was mentoring student leaders and connecting them with political and business leaders as well as other student leaders at different universities from across the country. He went on to become involved in the Northern Virginia real estate industry, through his interest in the construction field. Ultimately, Micah found that his passion for serving people was best used in helping clients navigate the difficult process of buying and selling their homes. He has worked as a sales associate for a number of established firms in the Washington Metropolitan area, before joining Washington Fine Properties in 2009 along with his business partner, Jennifer Harper Thornett. Micah currently lives in Ashburn, Virginia, with his wife Sara and their four daughters. 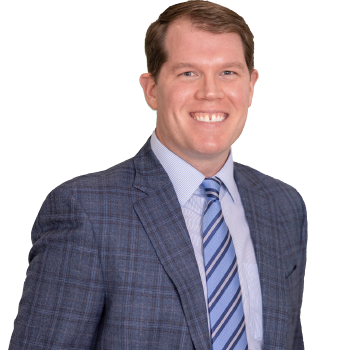 He works out of the McLean Office of Washington Fine Properties and focuses primarily in the Loudoun, Fairfax, and Arlington Counties of Virginia. Golf, Food, Wine, and Friends! Margaret and I wanted to again say THANK YOU for all you've done to get us out of and into another house. You guys are such an unbeatable team and hands down the best out there in realty or any other industry. Your focus on getting the job done completely, advocating for your clients, pushing the boundaries, and being partners and supporters for your clients is unsurpassed. Thank you all for the quick sale of our home in Evans Farm. We were apprehensive about listing at a time when there were already several homes on the market in Evans Farm. However, the advice that you gave us and the support in getting the house ready to put on the market made all the difference in the world! Your keen knowledge of the market and understanding of exactly what needed to be done to get the house sold quickly and at the price that we were looking for, resulted in the outcome we were looking for. We cannot thank you enough! We highly recommend the listing agents for our house, Jennifer Harper Thornett and Micah Corder. Micah and Jennifer are an extremely professional team. They were very patient as we weighed options and decided what was best for us. We believe their agent connections and marketing made the difference for us. It's never easy to move but they have made it so much more enjoyable by being organized, thoughtful and fun. The service we received from Jennifer and Micah at WFP was fantastic. As parents of a special needs child, it was important that we secured a home that would meet all of our needs. Jennifer and Micah took the time to understand all of our requirements and delivered in a big way. They handled every aspect of our home purchase flawlessly. Their analysis and understanding of the market was comprehensive and spot-on. This was the most enjoyable home purchase experience we ever had. I consider Jennifer and Micah to be part of the family. Jenny and Micah were fantastic to work with on the sale of our Arlington home and purchase of a new home in McLean. Their combined knowledge of the market and experience were extremely helpful as we considered different neighborhoods and debated whether to build a new house or buy an existing property. On the sell side, their complementing personalities helped in navigating potential buyers and negotiating the transactions. Their support following our move has been an added bonus � their relationships with service providers and referrals have been tremendously helpful as we have settled into our new home. We couldn't have asked for a better team to work with and are grateful for their advice and friendship. We are officially IN our new home and want to say thank you for all you have done. You were amazing from the word "go." You knew what we wanted (even when we weren't sure); you were whizzes at selling our home; you navigated us seamlessly through the purchase of our home; and, you even found us an awesome rental (NOT in your job description, we know!!). I know it wasn't always easy, but you have mastered the balance of smart negotiation with class, fairness and grace. We honestly could not thank you enough and are so grateful for you and the efforts you made on behalf of our family. Thank you, thank you, from the bottom of our hearts.